Seems like Nikki Minaj is worried about losing her place as the TOP female Hiphop Artist. Lately she has been throwing a lot of shade towards IGGY from saying she don’t have to work hard for what she is getting credit for to saying T.I. is ghostwriting her songs to help her out. I just think that she don’t like sharing the spotlight and she is mad that ‘Fancy’ made the #1 spot on the charts. What do you think???? Leave a comment! 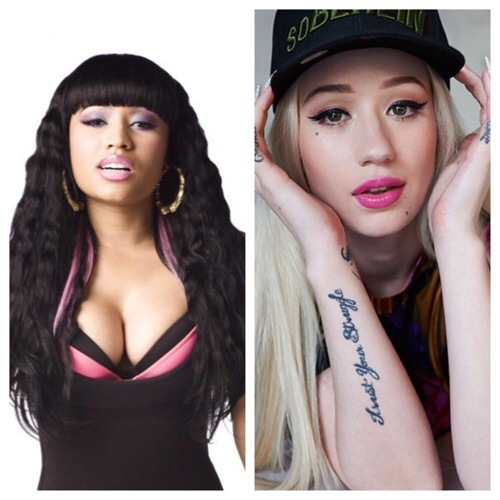 I feel that iggy style of rap & style is heavily influenced by nicki. From the tone of her voice to the facial expressions.